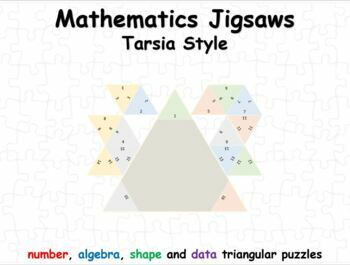 A collection of Tarsia style jigsaws in a single PowerPoint file. Jigsaw pieces can be dragged and dropped on PowerPoint slides as a whole class demonstration or slides can be printed out as a class activity. The PowerPoint file includes a number of examples covering number, algebra, geometry and measure. Template slides are included so you can easily make some more of your own. Follow me on Twitter and Pinterest @hatchtag73.